The simple t-shirt is given a great twist, with a crochet feature on the shoulder. A perfect option to smarten up any outfit this season. 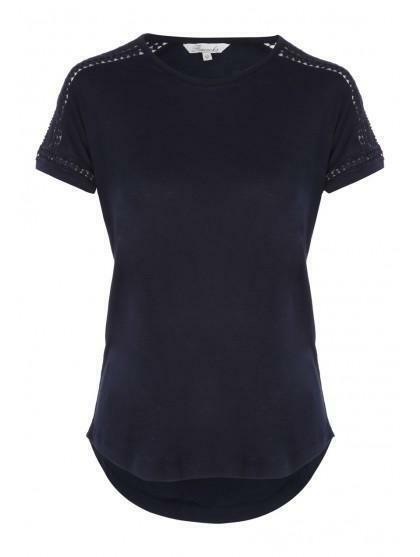 This dark blue version has a traditional round neck and short-sleeves with a plain jersey back. This is ideal for a desk to dinner look! Never liked it only because of colour.